The 10 Best Farmers Markets in Florida! 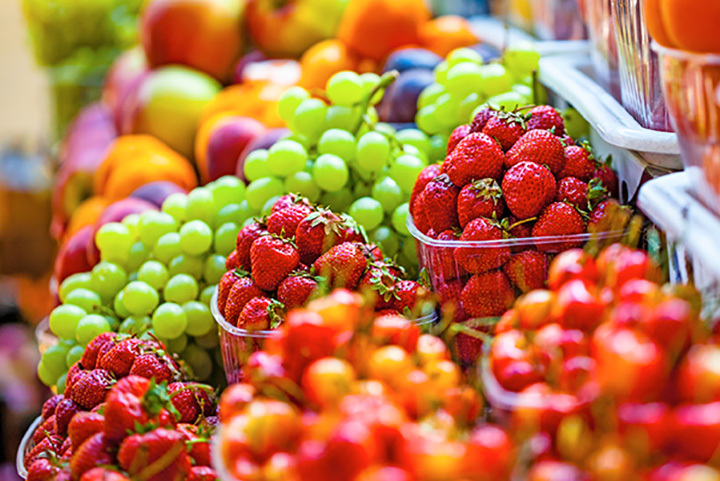 Searching for open-air markets offering up the best fresh fruits and vegetables, delicious smoothies and scrumptious deserts? Well, strolling through one of those in the beautiful warmth of the Sunshine State is a can’t-miss experience. No matter where you find yourself in Florida, there will be a farmers market near by. Here are our 10 favorites. Since 1938, locally-grown fruits and veggies have been available for purchase through Jacksonville’s Farmers Market. Today, the open-air market still packs in over one million visitors each year. In addition to the crops from the local farmers, this marketplace is just as famous for ethnic and imported items. For the unique and hard-to-find purchases, make sure to peruse the outdoor bays at this Farmers Market. Open daily from dawn to dusk, except for Thanksgiving and Christmas day. Each Tuesday 3-7 p.m., the Kissimmee Valley’s Farmers Market calls the Lakefront Park home. Located in the beautiful historic downtown area of Kissimmee, there are plenty of vendors on hand to sell fresh produce, locally harvested raw honey, handcrafted jewelry and other items, and much more! Lots of restaurants within the downtown area use fruits and vegetables from the local farmers to give their dishes a local flavor as well. In Gainesville, locals line up with their shopping bags, small bills and their grocery lists and wait for the bell. The ringing bell brings the official opening of the Farmers Market, each and every Saturday at 8:30 a.m. Known by the locals at the “441 Market,” and locals also reference the months of April through July as “heavy traffic days.” Another local insight is the recommendation of arriving before 11:00 a.m., even though the market doesn’t officially close until 1:00pm. Laurel Hill, Florida, is home to Florida’s Farmers Market. Open every single calendar day each year, this open-air market focuses on farmer’s crops, but artisans and crafters can also be found within the booths. Open daily from 7 a.m. to 7 p.m., every day provides a different amount of variety, as farmers can show up when they like, no set days for them. The layout is set up to allow farmers to back up into the market and sell directly out of their trucks. While some prefer that setup, others bring their own tables and chairs to sell from. In addition to the daily farmers market, visitors can also purchase from the café and the gift shop. In Hollywood, Florida, the Yellow Green Farmers Market is open on every Saturday and Sunday. All the booths and table spaces occupied by local producers and farmers can be found in a covered marketspace. Over 300 under-roof booths span across the 100,000-square foot outdoor space. Spicy pickles, a variety of smoothies and a variety of craft items are a few examples of what is available at this market. Clothing and flowers round out the purchasing possibilities. Open on Thursdays from 12-4 p.m. and the first Saturday of each month from 10 a.m. to 2 p.m., the High Springs Farmers Market is made up of individual sales booths, ranging from canopy-covered tables and chairs to truck beds. There are over 20 vendors selling much more than just organic fruits and veggies. Items ranging from cheesecakes, soaps and lotions are available for purchase. The residents of High Springs flock to the market each week to purchase the freshest produce products and homemade soaps. In St. Petersburg, this market is open every Saturday from 9 a.m. to 2 p.m. The mission of this market is to “be the heart of the city—the place, more than anywhere else, that people feel a strong sense of joyful connectedness and creative community.” Making up the “heart of the city,” are local farmers, great food, interesting crafts and lively music. These elements provide an atmosphere that keeps locals and visitors returning every Saturday. Winter Park’s Farmers Market is housed in a unique location-an old train depot. The location has been restored and is now a historical landmark that hosts a popular produce and plant market within the Central Florida area. Baked goods can also be purchased, along with traditional items such as fruits and vegetables and honey. This market is open every Saturday from 7 a.m. to 1 pm. One exception to the year-round schedule is the third Saturday in March. On this date, the market has a standing routine of being closed. One thing that sets this market apart from the majority of other Floridian markets is that man’s best friend is allowed to shop and browse along with its owner. One of the only dog-friendly markets, Lake Mary allows the friendly canines to enter the market, but they must stay leashed at all times. Open every Saturday from 9 a.m. to 1:30 p.m., visitors can browse through fresh produce, honey, baked goods, handmade jewelry, wood crafts, orchids, pet food, small and large plants and assorted nuts. View more Florida Farmers Markets.